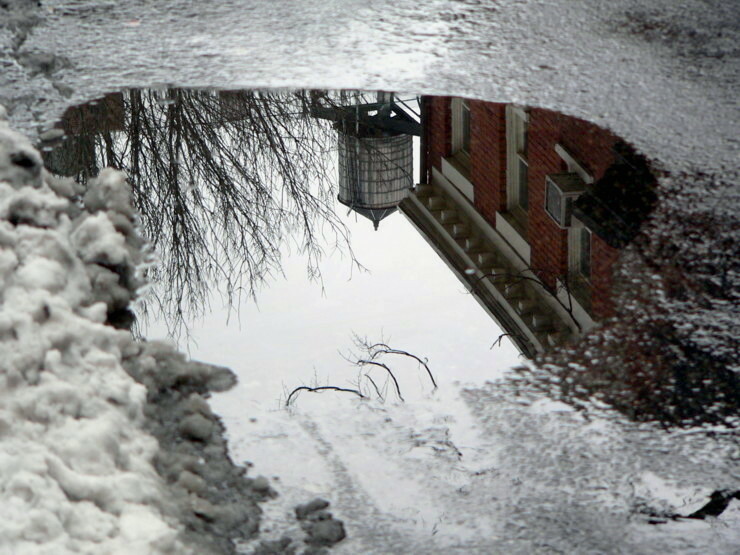 As the snow was melting, I was experimenting with some puddle reflection shots. Any ideas as to how to best capture these, composition, etc? I don't think you can improve on this shot. Looks as good as possible to me. Excellent job on that one its spot on. I hope you dont mind but I tried simply rotating it and I think it looks completely different, no longer a reflection but a window. I've seen shots like this where the puddle was closer to the middle of the road with no slush or curb boundaries interferring. That's only thing that would make this better. Darn, Treemonkey, I was gonna tell him to spread his feet, face away from the puddle, bend over and shoot it through his legs to get the perspective right-side-up. Your way takes all the fun out of it! If you kneel down (try not to get your knees wet!) 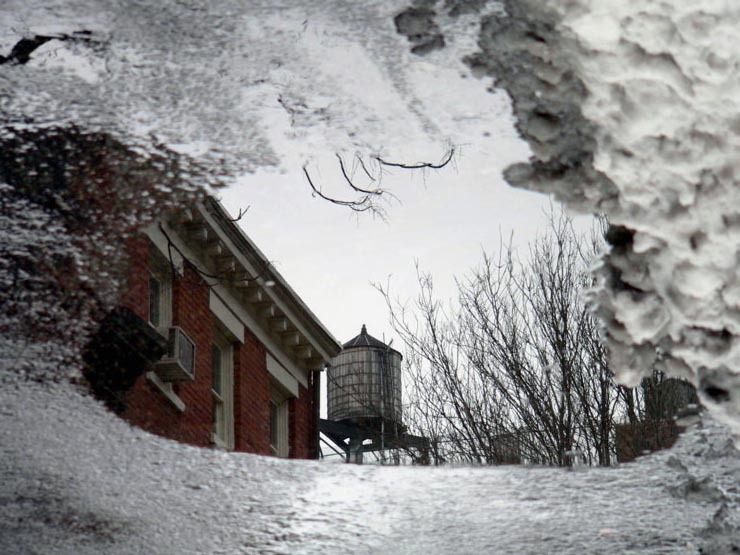 and take from a shallower angle, you will get a reflection that will show items closer to the ground, rather than items that are higher, such as thos at roof-level. Of course, it all depends on what is out there in the distance, and maybe in this case you got the best angle. Only you know what was there, but sometimes you can try a few different angles of the same shot and one of them will seem to be much better than the others.